Jay Rickels is our expert in end user and contract sales, as well as electronic access control and troubleshooting. With his keen attention to detail, he also is a go-to for master key system consulting and hardware spec writing. He is also certified in lead manufacturers’ key systems management and completed two years of architectural drafting and electronic hardware design applications. 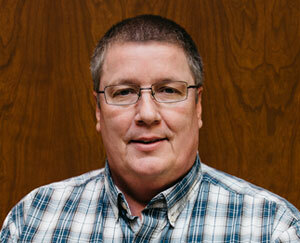 Jay has been with Mullins since the beginning of Mullins Building Products, Inc. and celebrated 29 years this year!